I’ve never seen a prettier cookie than a macaron, have you? Their gorgeous layers, majestic flavors, and dreamy colors always make them stand out from the rest. 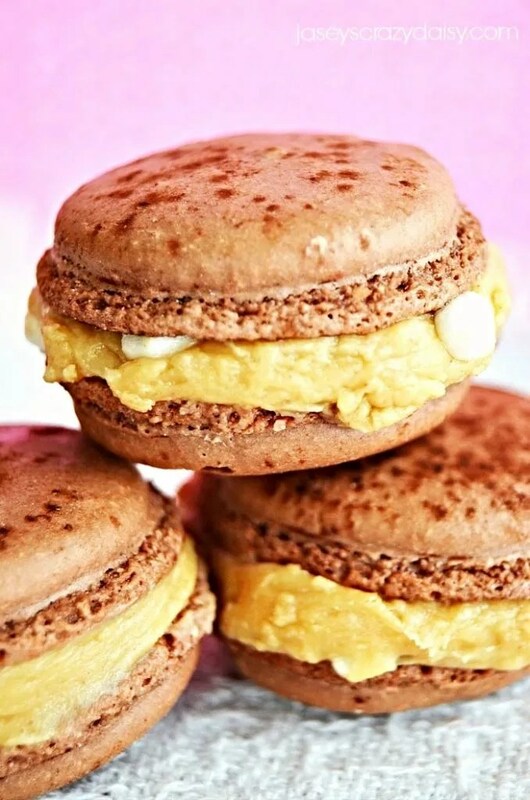 Have you ever made your own macarons? I must admit that I’ve always been a little intimidated by them and have left them to the bakeries. Macaron shells are so temperamental. But now there is an easy way to make them. Francois Payard, from Payard Patisserie sends his shells (chocolate, vanilla, or raspberry), the very ones he sales in his patisseries, directly to your home so that you can fill them (really simple) and create your very own macarons. His MakeCarons include recipes for several filling variations, and the rest is up to you. You can use his ganache recipes as a base to build from adding any flavor that you can imagine, or you can even use marshmallow creme, peanut butter, or nutella. Isn’t that super cool? Everyone will think you are so fancy 😉 when they see what you’ve made. I used the chocolate shells and filled them with fluffer nutter cream. Too. Die. For!What do you think? Sounds like fun, right? Payard Patisserie is going to send three JCD readers one box of Makecarons to try out for themselves! All you have to do is use the Rafflecopter form below to enter. This giveaway opens immediately (continental US only) and closes at 12:00 AM on Friday, February 14, 2014. Winner will be announced here on the Rafflecopter form, contacted by email and has 48 hours to claim their prize by responding with their mailing information or another winner will be drawn. Good luck:)! Disclosure: I did not receive monetary compensation and was under no obligation to provide a positive review. I did receive some Makecarons to sample. All opinions are my own. Is there a website where I can check out the different flavors? I would definitely want chocolate shells though!! Chocolate? I love chocolate! And raspberry…vanilla isn’t bad either! YUM! 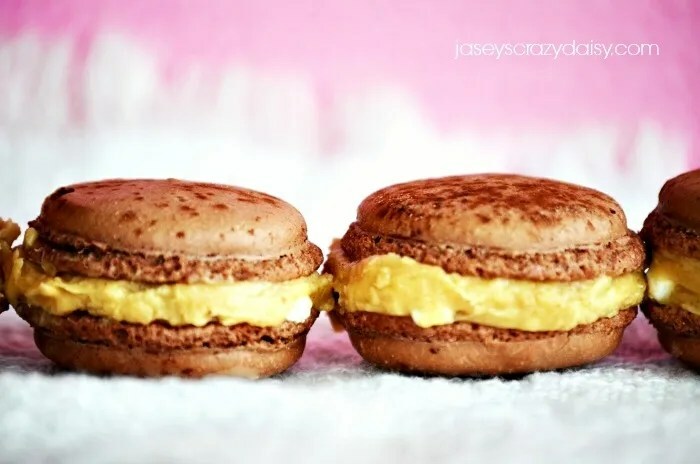 Jasey – thank you for sharing this great idea – I would definitely choose chocolate shells and your fluffernutter cream looks absolutely delicious! Oooo this is awesome! I would love to try chocolate shells with strawberry mascarpone filling! Vanilla would be great – lots of great flavor combinations and possibilities!! This is such a smart idea! Macarons are so hard to make and this is simply genius 🙂 I’d want the chocolate shells! I would pick the vanilla shells, they all sound wonderful! This is SO cool! I’ve wanted to try my hand at making these, but they have always been super intimidating. This looks like a great solution! Goodness, now this is a great idea! I’ve made macarons once. They turned out okay but I was a nervous mess the entire time they were in the oven (almost 4 years ago!) Love this idea. Visiting today from Sits Girls.